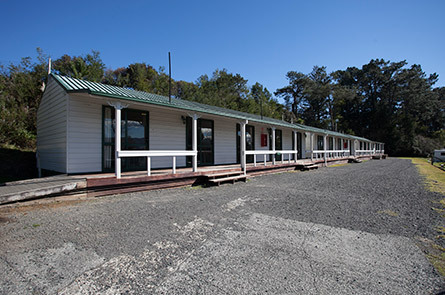 Kitchen Cabin 7, 8, 9, 10 – sleeps 4 maximum. Standard double bed in main room with table & chairs, kitchen off to the side. 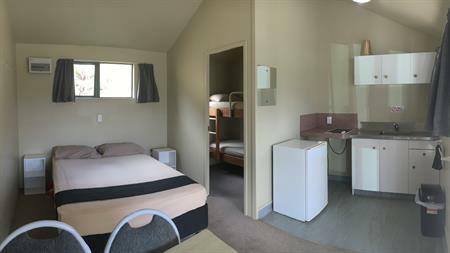 Including 2 ring hob and Fridge, separate bunk room. Kitchen Cabin 6 - sleeps 5 maximum. Double bunk-bed with bunk over the top and set of 2 bunks beside, all in same room. Use of communal toilet and shower facilities.